Model airplanes have come a long way since the beginning of this wonderful machine. The ingenuity of displayed by this incredible machine has inspired a lot of fascination in millions which has translated into the models as well. As a modeler, chances are you may fall for this if not already. Let’s have a look at the basics. WHAT THE TYPICAL BOX CONTAINS…. The kit usually includes the plan, precise instructions, the balsa and wood required for construction and all the necessary hardware. The hardware includes things such as servo linkages, horns, fuel tanks among others. In essence, the kit comes with everything required to come up with the airframe thus leaving it up to you to worry about extra materials such as covering material, the motors and other accessories. There are other parts of the plane such as the wing ribs and fuselage formers which may be either pre-cut or clearly marked to assist you with the precision you need when cutting the wood. The package also contains a strip balsa which can be deployed to function as wing spars, fuselage longerons and others. Balsa is in essence hardwood and it is usually the perfect choice for model aero plane construction due to its incredible strength-to-weight ratio. Thin plywood is also a common choice when it comes to parts of the model that need more solidity, for instance, engine bulkheads and landing gears. Constructing a model aero plane begins with a plan that is put down on a flat modelling board. The components of the balsa are secured with pins until the glue gets a good grip. This necessitates that the board is soft enough for the pin to go through. There are basically two available materials you can choose for the board. Its either you use thick insulating foam or flat steel sheets that utilize some magnets to keep the parts secured. Whatever your choice may be, a construction board is about having a completely flat surface to work on otherwise any inconsistencies in the construction board can affect the design of the plane. There is an array of glues that can be used to construct a solid model and the choice depends on a variety of factors including the type of the joint, the wood and of course some personal preferences. The balsa and associated joints usually require wood glue, aliphatic resins and cyanoacrylate. Two part resin is more appropriate for parts which need a bit more of strength such as the landing gear plates. Upon having all the parts neatly glued together, it’s time to get the plane sanded to have a smooth finish. In case of any unnecessary holes, you can use a lightweight filler which is then sanded afterwards to achieve consistency in the overall look. In terms of the actual sand papers to use, you can go for fine grade paper like 600 and 800 grit sand paper. Building the model doesn’t exactly end with sanding, the next step involves covering of the model parts by means of a covering film. The commonest covering material is the heat sensitive film which is usually mounted using an iron. In general, the working mechanism involves melting of the adhesive backing which helps to get the film adhered to the balsa. This is then followed by shrinking of the film on the models coats by means of heat gun or iron. This is without doubt a process that requires some skill to be completed effectively thus necessitating some practice beforehand while making sure the manufacturer’s instructions are being followed to the letter. If you are looking for something less sophisticated and takes a more traditional approach at airplane building, then the ARF kit is an ideal choice. As the name suggests, ARFs are almost 90 per cent done. The assembly includes the covering as well and your task is mainly to do some final touches to the frame and mounting of the motor and radio gear. Because of their relative simplicity, ARF kits are quite popular and there is a myriad options on the market today. The influx of a limitless number of kits means that there are some which are a complete fluke where as others are quite excellent. This necessitates some homework to be done before you splash some cash on anything. Online review platforms like RC Groups and RC universe should provide you with some important clues. 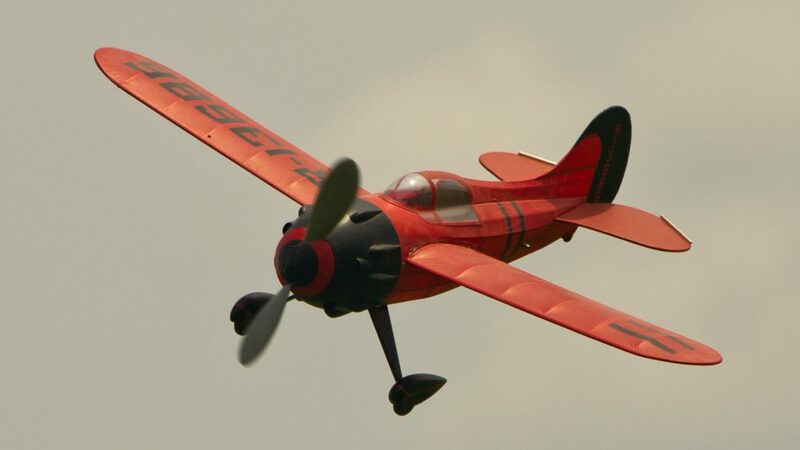 Balsa model planes have taken over the aero plane model building industry for years but Foam ready-to-fly planes are becoming a huge competitor due to the increasing popularity. Foam ready to fly planes are quite a convenient option to consider and in addition to that, they are cheaper when compared to balsa planes. This owes to the fact that it takes a little more to produce a balsa plane kit from manufacturing standpoint. However, foam planes are generally more durable than the balsa planes due to the enhanced resistance of the foam material when the plane takes a few knocks.